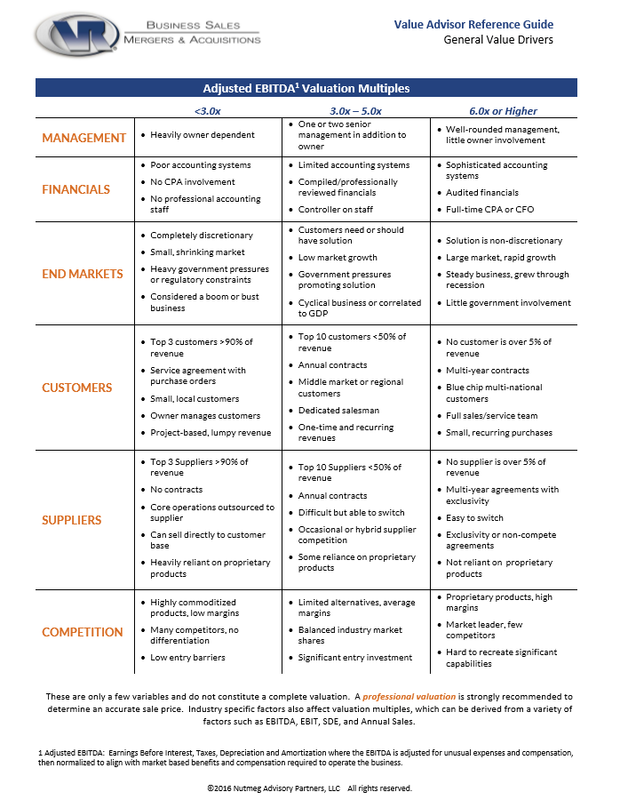 Download the quick reference guide to get a handle on how much your business is worth. This is a general valuation guide which details what effect various internal and external factors have on the multiples of adjusted EBITDA. You can search for your industry in our Value Advisor library to get more specific valuation multiples. 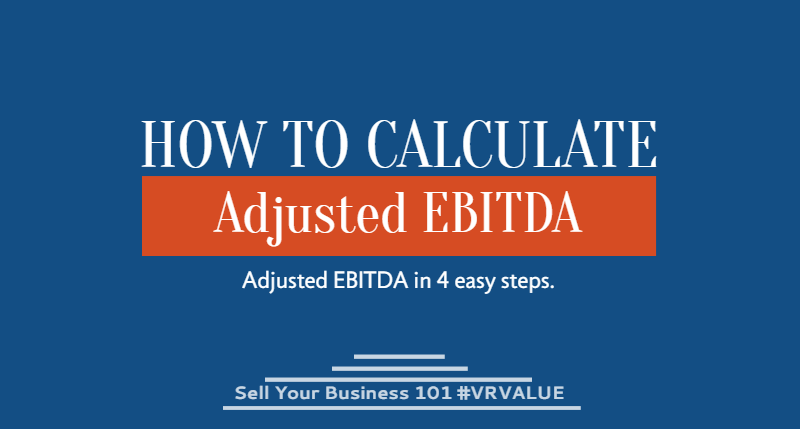 Since many people don’t know how to go about calculating Adjusted EBITDA, we’ve also included our related how-to guide below.